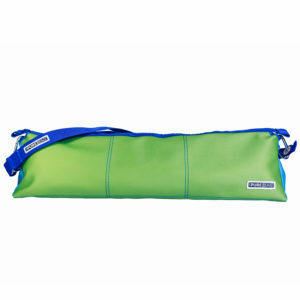 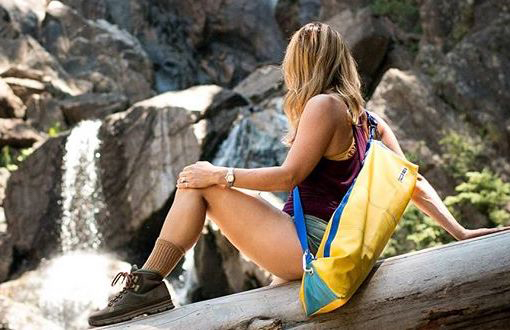 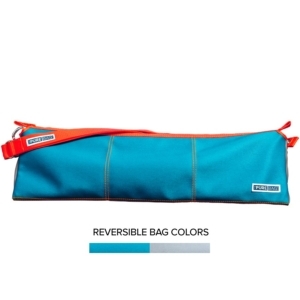 The Core SunWater Yoga Bag from ThePureBag™ offers stylish, sporty, hypo-microbial style and protection for you and your gear. 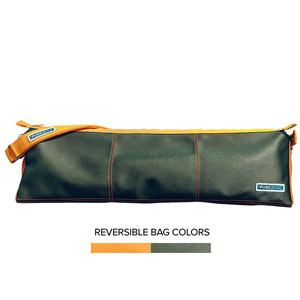 The exterior (same as Reversible Bag) is crafted with warm yellow and pool blue silver-embedded marine-grade, healthcare quality vinyl with a fresh blue silver lining fabric interior. 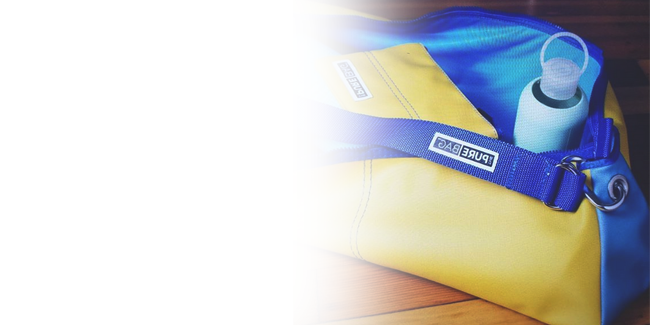 Sapphire trim. 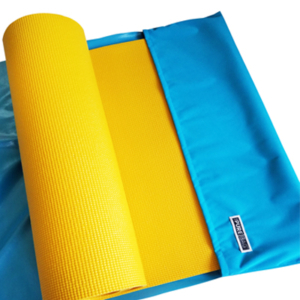 Can accommodate mats up to 26”. 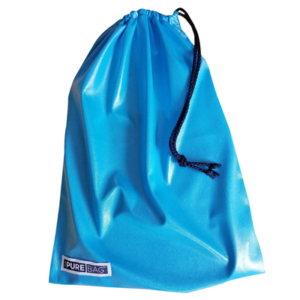 Advanced New Technology Using Silver to Protect Your Gear from the inside! 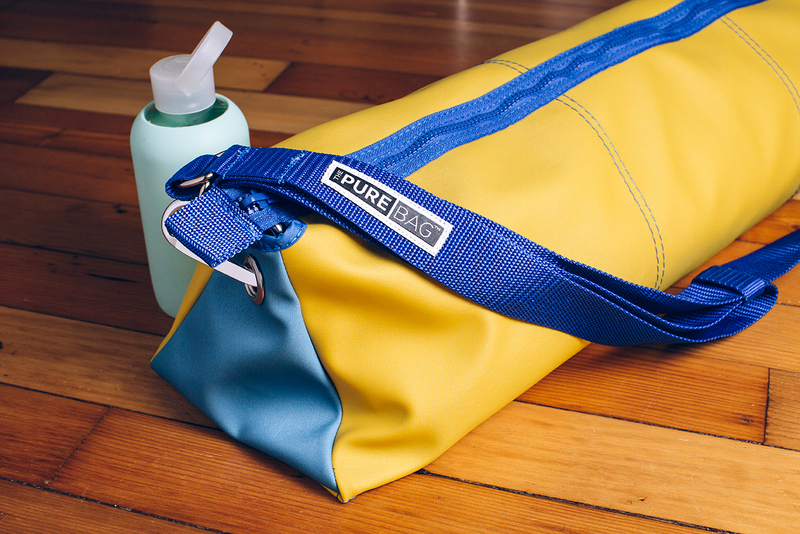 ThePureBag® provides powerful protection and performance, protecting your personal gear from germs like MRSA, athlete’s foot fungus, mold, mildew and other scary stuff. 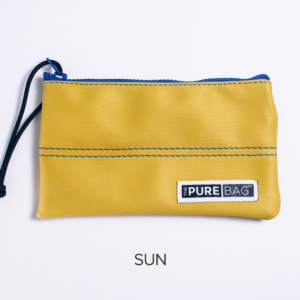 Learn More About How ThePureBag® Protects Your Gear! 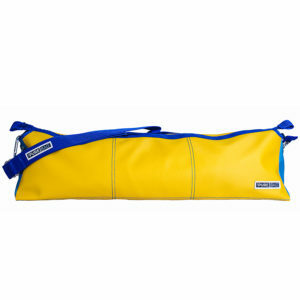 Warm yellow with pool-blue ends and sapphire trim (lined in fresh blue silver nylon material).